The newest addition to our ITW Nexus GhillieTEX line of MILSPEC hardware, the GTSR 1.25" family. This product was specifically designed to meet the needs of OEMs and end users that utilize 1.25" wide webbing, and need to retain a high level of strength/tensile load using a more common 1" side release connection system. 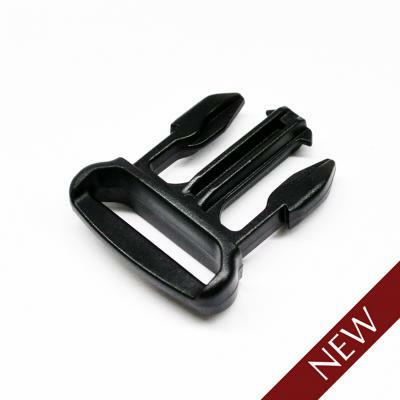 This provides modularity and cross compatibility with all standard heavy duty Nexus SR buckles and most other similar SR's. GTSR 1.25" SS offers users many possibilities as a modular system, perfectly suited for your modular sling attachment and disconnection points. When your needs require the best possible most durable solution, choose the brand with a reputation as the highest quality provider across a wide range of products and markets, ITW Nexus North America. GTSR SS 1.25 Loop Latch"